You helped us exceed our t-shirt fundraising goal! Shirts will be shipped starting September 11, 2017. We can’t wait to see all of you at school and around town in your new BMES shirts! Calling all Blue Mountain students and parents! We are running a 3 week T-shirt campaign to raise funds for our PTO. 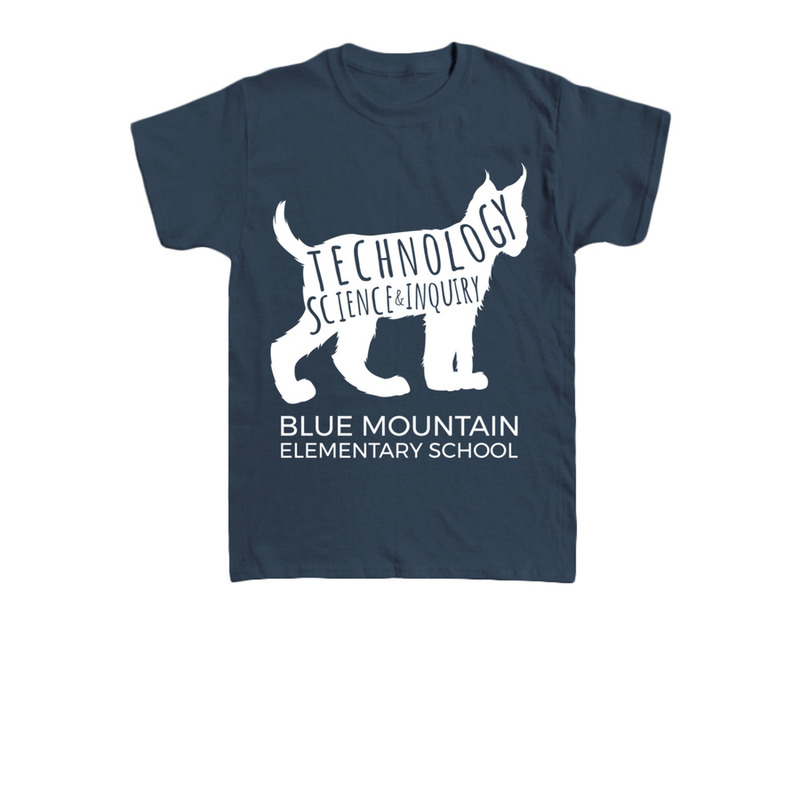 This is your chance to get a fun new BMES t-shirt to wear for school spirit days. Parents, you can wear yours around town to show support for our school or better yet, when you are volunteering in the classroom! Check out the youth and adult sizes and color options. Find your favorite and help us raise money for our events throughout the year. Did you know the PTO helps fund paras in the classrooms, field trips, and other school programs? This sale ended on August 31, 2017. Check back for more Spirit Wear opportunities!